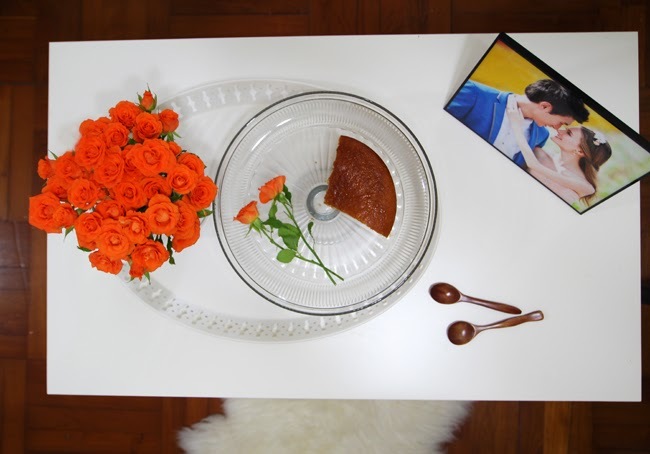 Today's post is an ode to my childhood, in memory of all the good times I had with my grandma, who always had this simple yellow cake ready for me to enjoy whenever I visited her. I used to dip it in the Spanish thick hot chocolate, and still nowadays this is how I like it best. My grandma would always let me have this combo for afternoon tea and for breakfast when I stayed over, and the memory of those days is still fresh in my mind. 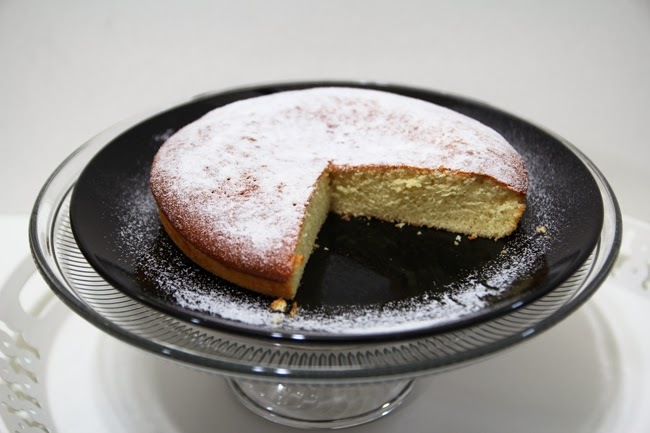 It's a delicious moist yellow cake and probably the easiest cake you'll ever bake. I'd say this recipe is so simple it's a good one to make with the children if they feel like playing chef! It won't take you longer than 5 minutes to prepare, so read along to know how! Mix all of the above in your blender, pour the batter into a buttered mold (I used a 8-inch round mold here but my grandma used to do it on a rectangular one) and bake in the preheated oven at 175ºC (350ºF) for 40 minutes. If you wish to have a chocolate-flavored cake, add some chocolate chips to the batter, once all the other ingredients have been mixed. Then pour batter into the mold. 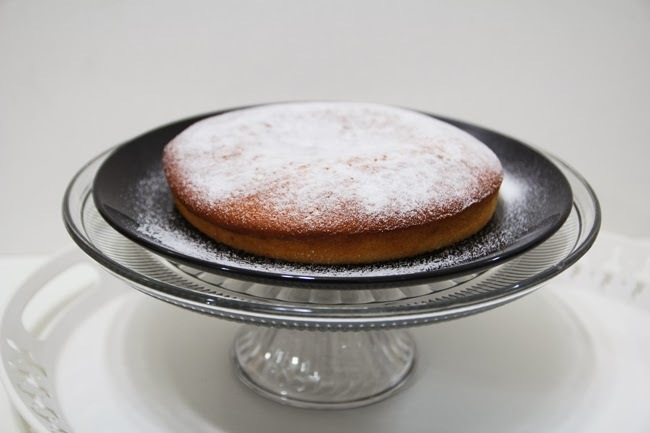 I like to top mine with a bit of icing sugar once the cake has cooled down, but that's optional as well! The first picture of this post is how much is left of the cake at this very moment, although it's almost tea time so I don't think it's going to stay like that for long :p As you can see I have some gorgeous orange roses on my coffee table at the moment, it's Halloween season after all, and since I had no pumpkin, I figured orange blooms would do! This looks delicious! Love the gourmet photos. Great recipe Olivia!